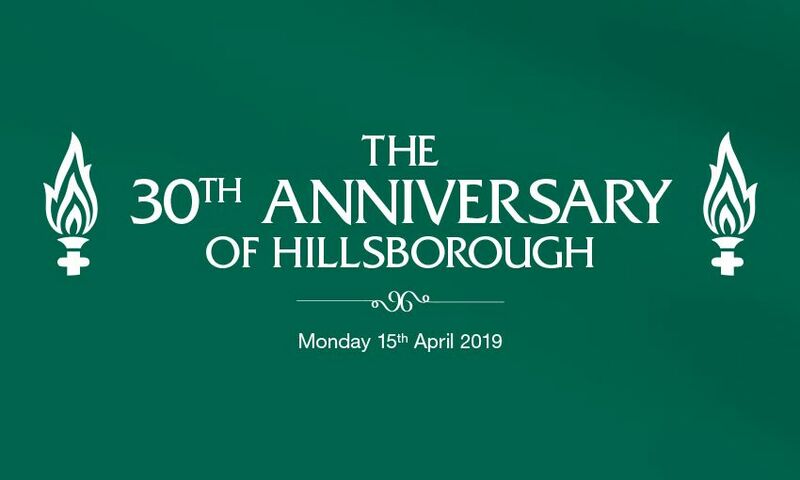 Fans in both the Kop and the Sir Kenny Dalglish Stand will reveal special ‘96’ and ‘30 years’ mosaics, both teams will wear black armbands as a mark of respect, and tributes will also be displayed on LED boards surrounding the pitch. A public service will be held at Liverpool Cathedral to continue a pattern of reflective annual services that alternate between the city’s two cathedrals. The half-hour service, which will start at 2.45pm and observe a minute’s silence at 3.06pm, will include simple prayers and a time for silent remembrance. Although there will not be a public memorial service at Anfield this year, the club will open the Kop between 1pm and 4pm on the anniversary for those who would like to sit for a period of reflection. Please note, there will be no activity inside the stadium. Those who would like to attend will need a ticket in advance. Tickets can be obtained free of charge, by applying online, calling the booking line on 0151 264 2500 or visiting the ticket office at Anfield. All tickets must be obtained no later than 5pm on Friday April 12.